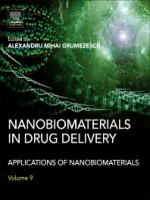 Nanobiomaterials in Drug Delivery: Applications of Nanobiomaterials presents novel approaches regarding nanostructured drug delivery systems, revealing the most investigated materials for the development of particular nanobioshuttles. This book brings the results of current research to reach those who wish to use this knowledge in an applied setting, providing one coherent text, with focused chapters and easily accessible information. At its core, it is a collection of titles, bringing together many of the novel applications these materials have in biology, also discussing the advantages and disadvantages of each application and the perspectives of the technologies based on these findings. At the moment, there is no other comparable book series covering all the subjects approached in this set of titles.